In healthcare, the experiences of fellow patients can be extremely effective in driving people toward treatment. This is especially true in substance-use cases, where case studies have been proven to urge others to seek treatment. But healthcare marketing experts must uphold high ethical standards and respect patient privacy when using these case studies for outside marketing purposes. There’s so much concern about this issue that the National Association of Addiction Treatment Providers (NAATP) has revised its code of ethics to remind healthcare marketers about the need for privacy protection and maintaining ethical practices. Behavioral.net outlined the new ethical principles to ensure that healthcare marketers protect patient privacy. NAATP members and member organizations must hold sacred the shared value of a patient’s right to privacy. Treatment providers may not reveal clients’ identities in the form of photographic images, video images, media coverage, marketing testimonials, or any other form during the client’s time in treatment. Consumers have to be made aware that their interest in products and services is being collected online and must have the choice to opt out. Even after treatment has ended, treatment centers must use caution in seeking permission to use patient testimonials. Treatment providers are strongly advised not to seek or use testimonials from young patients who are not in a position to give informed consent. Advertisers should never compromise consumers’ personal privacy in any marketing communications, and their choice to participate in providing these identities should be transparent and easily made. The NAATP requests that all advertisers and marketers follow these ethical standards when creating and distributing all healthcare marketing materials based on a patient’s successful medical treatment. 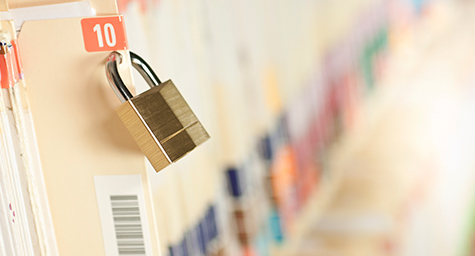 This request is firmly enforced by the federal government’s rules and regulations regarding protecting patients’ identities and their personal health information. These ethical standards go beyond healthcare patients and also apply to protecting the privacy of all consumers in marketing transactions. Given these guidelines, marketers need to be careful when considering the use of case studies and patient stories. Marketers also should not “walk the line” by conveying a case story that may not directly identify a patient by name, but includes such specific details that the patient feels recognizable. This is a breach of their privacy and a violation of the principles. If there is any doubt about using sensitive information for healthcare marketing purposes, experts advise consulting the patient to get their consent and leaving the choice up to them. “You want to apply the principles of common sense, fair play and the golden rule,” said Bob Ferguson, director of Jaywalker Lodge and a member of the NAATP ethics committee. Keep up with the latest ethical guidelines in healthcare marketing. Contact MDG Advertising.